Weekends are usually devoid of team training unless there is a game scheduled, so rest, recreation and alternative options were explored. As the formal showcase is over, most persons departed for home in large numbers. Most visitors of this showcase were from Canada, while others were from Sweden, Spain, Japan, USA, Portugal, and from Jamaica. We took the time to walk down to the beach to show Jamaican/Canadian photographer Carl and Jamaican/American Percival the sights, sea and sand. We later watched La Liga and EPL TV games take shape by this unapologetic football group at the Sports Bar in the Complex when some of the Coaches invited us out on the nearby tourist-oriented town of Cambrils, about 15 minutes away. Roadside Cafes, enclosed tents, and a host of shopping stores catered to visitors by land and the beautiful seaside heavily dotted by yachts and boats. Vietnamese/Canadian Manager, Linh and our General manager Clyde Jureidini asked Spanish Cafe operators to turn on the Manchester United game against Wolves in the F A Cup. After the first attempt it was clear that they respected the Spanish La Liga only; after the third try we got the message clearly, “we have no time for English second rate league football, take it or leave it”. 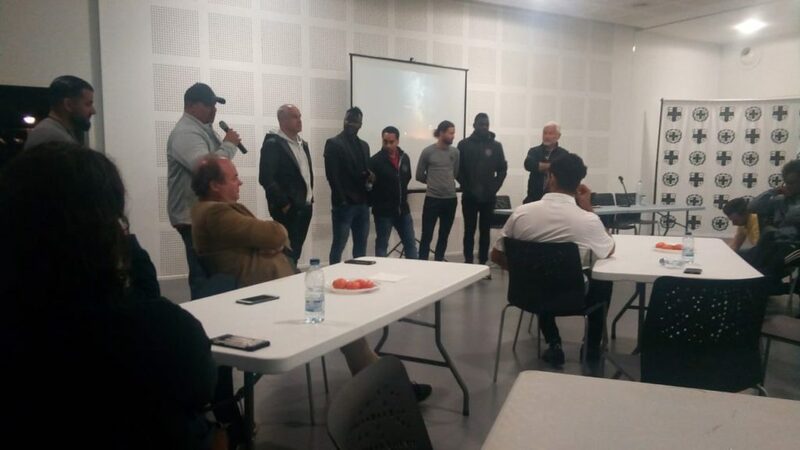 Sunday was quieter, with some of the players visiting our General Manager in the room to sit and chat, exchanging their experiences over the last few months versus those who just came here in the last week. Lank FC discussions were circulating, with the new agreement with SC Braga top of the list. More persons departed as the group continued to dwindle and players await final decisions about selection and their future steps in the next week or so.